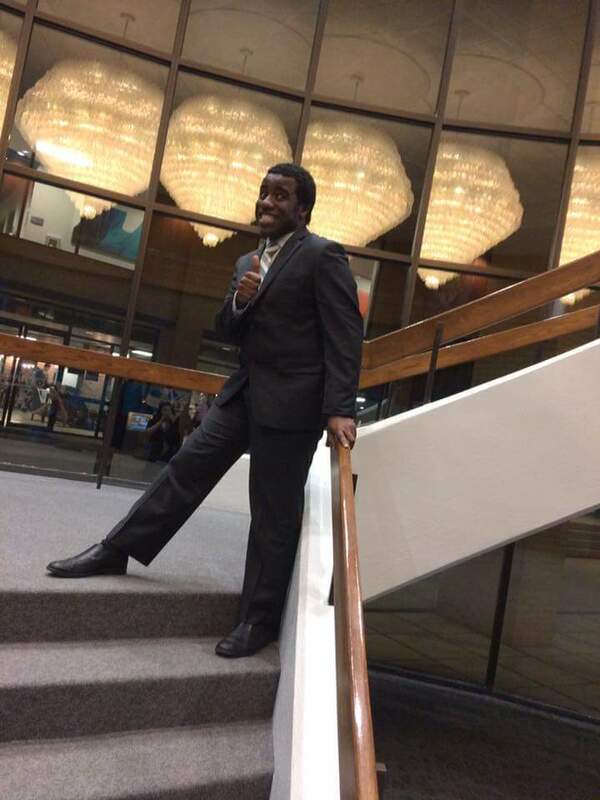 Gomer Joseph is a Business Major at Bob Jones University. 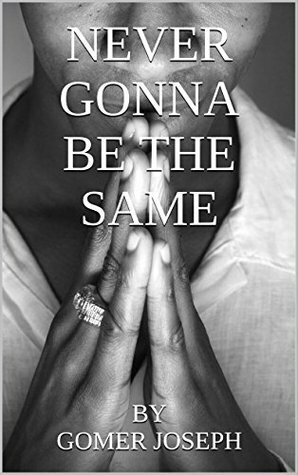 Never Gonna Be The Same is the first book he published. Not only is he an author, but he writes and produces a YouTube cartoon comedy series titled Remember What’s Important. Jonathan and Chris are two Haitian American brothers who have been close since day one. Their bond as brothers is forever changed when the younger brother, Chris, discovers a shocking family secret. Not only is Chris’ relationship with his family out of balance, but so is his walk with God. As Chris attempts to forgive his family and get back on track with his walk with God, Jonathan tries to make things right with his younger brother. 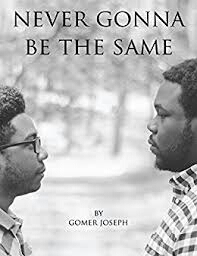 The only thing I have to mentioned is Gomer Joseph created a Christian Book that is so powerful concerning a family secret. Gomer Joseph put the focus on some real issues about when individuals get angry at God. In the consequences of that anger, it can caused a turbelence in the life of that angry person. “Never Gonna Be The Same” was about learning to use the power of forgiveness. The theme of this narrative in one word is “Reconciliation”. I appreciate the facts, that prayers shared throughout in the book of “Never Gonna Be The Same” were so refreshing and powerful. In addition to the sharing the Word of God with others was enunciate forth with a substantial family surroundings. The prayers shared throughout “Never Gonna Be The Same” abide extremely compelling directed towards me. The character of Chris who is a young man who having a difficult times after finding out a family secret about him. In life we can relates with Chris dealing with the struggles of a family secret which is a big lies. Often times we get angry with God when the storms of life is raging. I was truly impressed about the way the Characters still kept their faith in God and shows the love towards each other til the end. Gomer Joseph really allows the Holy Spirit to anoints the pen to created a powerful written story. Spectacular Characters sketch prevails sure-enough realistic. It also kept the readers like myself to guess how the story will concludes at the end. I found “Never Gonna Be The Same” well-written with a great narrative mentioned about love and forgiveness. Anybody who read this Christian narrative will be inspired about the Characters of Jonathan and Chris whose bonds changed when a family secret was exposed. Gomer Joseph did an awesome tasks of showcasing contrasting Characters and their issues. Their particular issues we’re exhausting but I was empower by their footsteps toward forgiveness and revival or rebirth. “Never Gonna Be The Same” shows an outstanding manifestation of faith with works. As a consequence, the importance of having a personal relationship with God. Thanks to Gomer Joseph for writing a tremendous Christian Story about a Haitian Family. 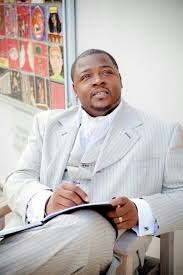 Apostle Oliver T. Reid called into the ministry in his youth, is a powerfully anointed and dynamic man of God. Known to be a remnant preacher and a testament to these times, Apostle Reid flows with a global prophetic mandate with God’s signs and wonders following. A man of many gifts and talents, he walks in the office of Pastor, Prophet, Evangelist and Teacher, and most affectionately knows him as “Apostle.” As a trailblazer, stalwart, and international apostle Reid has a passion to see the body restored, sinner’s saved, and broken hearts mended. Apostle Reid has served in numerous capacities, among them, Campus Minister at Winston Salem State University from 1996-1999. In 1996, Apostle Reid founded Youth with a Fire Ministries (YWAF) in North and South Carolina and in 2005 he established Seated International Ministries, where he served as Senior Pastor. Apostle Reid served as Assistant Pastor of Grace Tabernacle Deliverance Ministries Inc. for 10 years. Apostle Reid launched OTR Ministries International in 2009 to consolidate his multiple resource networks. Prophet Reid has over 20 years of extensive ministerial experience. A native of Charlotte, North Carolina, Apostle Reid is happily married to Miatta Reid and a proud father. He is a graduate of Winston Salem State University with a BA/BS degree in History and Sociology. Apostle Reid obtained a Bachelors as well as a Master’s Degree in Theology from Life Christian University. He is presently in pursuit of his Doctor of Ministry in Theology degree from Life Christian University. Apostle Reid has used God’s blessings and favor upon his life in the marketplace, as Founder of ECKLESIA Professional Development Center in 2001 and Founder of M.I.N.D. Consulting firm in 2007, providing mental health and consulting services. 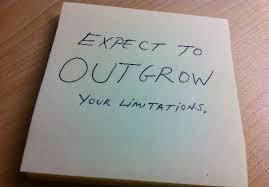 He is also a seasoned Consultant, Trainer, Motivational Speaker, Writer, and Poet. His first book, DON’T PRESS FAST FORWARD, was released in 2010. His next four widely anticipated books: Spiritual GPS, Your Ministry Is Not Impossible, Nine Keys To Keeping A Vision Fresh, and Words From The Low Place are due to be released in the near future. Using his God given passion to teach, Apostle Reid has developed a series of explosive empowerment workshops and conferences. “Spiritual GPS” is a powerful devotional to add to your reading list. While I was reading this powerful devotional; I found it to be a great read for the purpose of encouragement. Pastor Oliver T. Reid created “Spiritual GPS” for the purpose to Minister and empower the readers during the storm in their lives. I believe this is the perfect book that I can read during my time of peace and meditation. The Word of God is the powerful tool that spoken through Pastor Reid from the book cover until the last page. Pastor Oliver T. Reid allows God to guide the pen to releasing the messages to the readers. That releasing power of the messages that provides the light at the end of our tunnels when the cares of individuals beating us down. 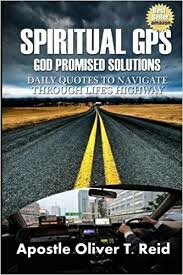 “Spiritual GPS” provides the readers with tools on how to make a commitment with God. The Spiritual GPS will helps to move beyond the obstacles from our past so we can successfully received God’s promises to us. The GPS challenges us to be open for a solution or a change. On a daily basis God has a spiritual road filled with His signs and directions to guide us to find the right path through our lives. We have that internal navigation systems(The Holy Spirit) inside of us as a believer of Christ. The Holy Spirit is a masterpiece to direct our path and guide to God’s spiritual destination. God never wanted us to be left behind or confused on the spiritual highway. In my opinion, I truly believe God require us to arrive or end up at His desired residence on time. The Word of God gives us roadside assistance when we need it. God can dissolve the problems with His Solutions. That images I can imagine God is the road. God is the way, the truth and the life. Jesus Christ is that spiritual brige to lead us to the other side. During our darkness and in the midst of the storms, Jesus Christ is the light at the end of the tunnel. I recommend you to read “Spiritual GPS” to expand your relationship with God and also to have faith. I am looking forward to read more books by this Man of God. Jonathan Wesley was born on September 12, 1989 in Newark, NJ. Before he was ever formed in his mother’s womb, he had a strong calling on his life. The Lord’s presence was evident in him at a very young age. Even though he tried to run for many years, he learned through trial and error that he was not going to be fulfilled as long as long as he continued to run from God. Through the test and trials of life. Jonathan Wesley is a true example of resilience and servant leadership. Mr. Wesley overcomes each trial, tribulations and tragedy with grace that allows him the opportunity to so into others who will endure the same things that he has. Jonathan Wesley holds a B.A. in Sociology, M.Ed in Education, Certificate in Pastoral Counseling and is currently pursuing a M.Div from Emory University Candler School of Theology with the desire to pursue doctoral student after the completion of this degree. He loves education and believes strongly that with knowledge comes much power and accountability. Not only is he an educator , he is also an artist, public speaker, spiritual coach, Minister,higher education professional and social Advocate. He understands that he renders his services in a spirit of excellent and achievement. He teaches on spirituality, life development, leadership, education, and other topics which have proven to be a success in the lives of those which he has come in contact with. At his age, he has accomplished a lot and contributes his success to God, family, friends and supporters. The truth does have the ability to set us free if we allow it to. Are you ready for truth? Your truth? Can you handle the repercussions of life that follows your truth? Have you been living deceitfully just to please others? Because of condemnation and hate, have you given up on a meaningful relationship with God? ​Basically, I want to mentioned that Jonathan Wesley written an Inspiring Motivationally Book that God was the narrator of this story talking about Terrell. 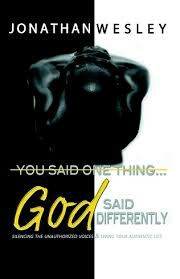 “You Said One Thing,,,,God Said Another Thing” is one of those books that will challenges you to take a look in the mirror. Jonathan Wesley allows God to direct the pens to write an inspiring book “You Said One Thing,,,But God Said Differently: Silencing the Unauthorized Voices &Living Your Authentic Life”. Jonathan’s aspiration through his writing, plentiful of wisdom and communication with individuals that people have the determination to become delivered, healed and set free. He wants the readers to have the understanding that they can have a personal relationship with God despite the fact what society inform them. Jonathan Wesley isn’t your average person but he believes firmly in discipline what delivers in his sermon. He does that with a moment on living the trueness. He believes that everybody should accept and essentially their authenticity in order to experience true healing and deliverance. He lives by the Psalm, “If I Can Help Somebody as I Pass Along Than My Living Will Not Be In Vain”. Piper G Huguley, named 2015 Debut Author of the Year by Romance Slam Jam and Breakout Author of the Year by AAMBC, is a two-time Golden Heart ®finalist. 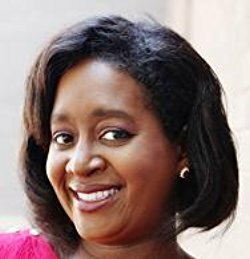 and is the author of “Migrations of the Heart,” a three-book series of historical romances set in the early 20th century featuring African American characters, published by Samhain Publishing. Book #1 in the series, A Virtuous Ruby, won Best Historical of 2015 in the Swirl Awards. Book #3 in the series, A Treasure of Gold, was named by Romance Novels in Color as a Best Book of 2015 and received 4 ½ stars from RT Magazine. Huguley is also the author of the “Home to Milford College” series. The series follows the building of a college from its founding in 1866. On release, the prequel novella to the “Home to Milford College” series, The Lawyer’s Luck, reached #1 Amazon Bestseller status on the African American Christian Fiction charts. Book #1 in the series, The Preacher’s Promise was named a top ten Historical Romance in Publisher’s Weekly by the esteemed historical romance author, Beverly Jenkins and received Honorable Mention in the Writer’s Digest Contest of Self-Published e-books in 2015. Her new series “Born to Win Men” starts with A Champion’s Heart as Book #1. A Champion’s Heart was named by Sarah MacLean of The Washington Post as a best romance novel selection for December 2016. Piper Huguley blogs about the history behind her novels at http://piperhuguley.com. She lives in Atlanta, Georgia with her husband and son. Milford, GA 1868: Milford College is in trouble. The mission to create teachers and preachers for the recently freed populations is on a shaky course because of problems between the married founders. Mayor Virgil Smithson has been away to the constitutional convention in the newly established state capitol in Atlanta for almost five months. He’s late in getting back home. Worried about her husband, Amanda Smithson manages the crowded and growing school by herself. How they will pay the taxes on the school property if Virgil doesn’t return from Atlanta? More problems: The Milford daughters-in-law arrive in town, determined to wrest what they see as their rightful inheritance from the Smithsons. Amanda has hired an old school chum from Oberlin to teach the older students. And he’s a tad too affectionate with Amanda for Virgil’s liking. Just when it all seems impossible to resolve, the Smithsons must endure another crisis that threatens to tear them, and the dream of their school—-apart. When life becomes difficult, it will take all of God’s love and mercy for the Smithsons to come together to fight within the bonds of holy matrimony that united them less than two years before. It will be the mission of the mayor, and his wife, to do what it takes to keep the new and coltish educational tradition that they began together going– to keep their love alive. This is the second book “The Mayor’s Mission” by Piper Hughley that I read. Previously mentioned, this is the continue story in The Home to Milford College Series. “The Mayor’s Mission” deliver the readers like myself with gratitude and perceptive. Its draws a picture for us to visions the sacrifices that the brave Black men and women made during the Reconstruction Era. The character, Virgil Smithson who is the freshly elected Mayor of Milford, GA have been born into slavery. Although, he purchased his freedom in the last book “The Preacher’s Promise”. Virgil often mentioned the matter of course in the South to Amanda. Virgil is farther of the strong soundless type until he delivers his sermon. Virgil spent occasion in the town of Atlanta as a representative demanding to protect the rights of the newly freed slaves. We are introduced to the characters of Henry McNeal Turner and Tunis Campbell who both are real Giants during the Reconstruction Era. Amanda, Virgil’s wife was born and raised in the North by her father who is a free Black man. She doesn’t understands the matter of course in the South. This makes for constriction between Virgil and Amanda in their marriage. In the process, the newly married couple works out the tangle in their marriage, we can see the images of a magnificent Black love story. There is even some laughter. Virgil gives invitation to both Turner and Campbell to his residence and provided Amanda short notice. As a reader, I am tremendously ecstatic about “The Mayor’s Mission”, the second installment in The Home To Milford College Series. 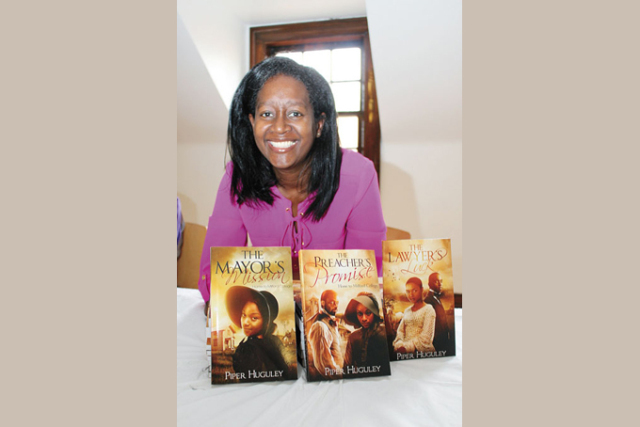 Piper Hughley created a great Christian Historical Fiction that is exclusively well developed. The Characters in this narrative compromise of drama, romance, sorrow, joy, and several supplementary elements which are skillfully arranged on a historical following. Piper Hughley compose an excellent narrative that advocate to analyze the entangled history of Reconstruction beyond being preachy. While reading this story, several times I found myself in tears about this lovely narration between Virgil and Amanda. The way how they raised their daughter and they wants the best for her. They also dealt with financial crisis and the medical crisis with Amanda. Even though Amanda and Virgil disagree oftens but they does that from a foundation and the power of love and respect. 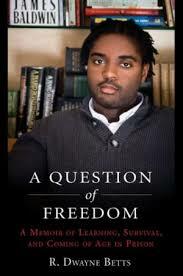 I am looking forward to read the next book “The Representative Revolt” in The Home To Milford College Series. Devastated by her father’s death days after her triumphant graduation from Oberlin College. Amanda Stewart is all alone in the world. Her father’s unscrupulous business partner offers her an indecent proposal to earn a living. Instead, to fulfill a promise she made to her father, she resolves to start a school to educate and uplift their race. Sorting through her father’s papers, she discovers he had carried on a mysterious correspondence with a plantation in Milford, Georgia. She determines to start her teaching work with the formerly enslaved. However when she arrives the Mayor tells her to leave. There’s no where for her to go. Virgil Smithson, Milford’s Mayor, Blacksmith and sometimes Preacher man with a gift for fiery oratory doesn’t want anything to do with a snobby Schoolteacher from up North. On top of everything else, the Schoolteacher lady has a will hard enough to match the iron he forgesn He must organize his fellow formerly enslaved citzens into a new town and raise his young daughter alone. Still, his troubled past haunts him. He cannot forget the promise he made to his daughter’s mother as she died- that their child would learn to read and write. If only he didn’t have secrets that the new Schoolteacher seems determined to uncovers. To keep The Preacher’s Promise, Amanda and Virgil must put aside their enmity, unite for the sake of a newly created community in a troubling age, and do things they never imagined. In the aftermath of the flood that was the Civil War, God set his bow upon the Earth to show love and understanding for humankind. To reflect God’s promise these combtants must put aside their differences and come together somehow. “The Preacher’s Promise” absolutely lived up to it’s promise from the passage. I truly loves this narrative “The Preacher’s Promise” The elaboration of the characters, the engagement of the Reconstruction Era, the encounter against tradition and Contemporary course of action and to shape, a storyline filled with multi-covered description. The character, Amanda is the Northern free woman who needs to depart from her father’s Law Partner, while she arrives to Milford, she’s self- determining, free, educated and smoldering with her perspective of things. The character, Virgil who is a former slave, also is the Mayor of Milford. When Virgil meets Amanda, he finds himself dazzled and stand up against by her Independence. By way of explanation, just perfectly, the heel of the plot thickens in “The Preacher’s Promise”. Piper Hughley really did an awesome tasks of created a marvelous story that is based on the history of the Reconstruction Era that is tangled up with Christian beliefs. I am a very satisfied reader on how Piper Hughley makes sure that the Characters are powerful, well developed and believable. I am now getting ready to read “The Lawyer’s Luck” in The Home of Milford College Series. It only took one day to read the entire story. That’s how great the story is. Forgiveness Doesn’t Mean A Family Reunion. I Forgive You But You Are Welcome Back. The Power of Forgiveness will makes you a new person and not an idiot. Hey Guys the July issue is here. Check it out and enjoy All of the Great articles written by our Wonderful Friends. Go to www.changesoe.com 1.when you get to the website, scroll down a bit until you see this Months issue of the Magazine. 2. Click on the Magazine and it will then open. 3. After it opens, go to the LOWER RIGHT CORNER of the page and click, the pages will turn. Please make sure you read my article about Queen Esther Phillips‘ Book “22 Days of Prayer & Meditations in Psalm 119 on Pages 6 and 7. Thank you. Have a Great summer! Hey Guys the August 2017 issue of The Change Gospel Magazine is here. Check it out and enjoy All of the Great articles written by our Wonderful Friends. Go to www.changesoe.com 1.when you get to the website, scroll down a bit until you see this Months issue of the Magazine. 2. Click on the Magazine and it will then open. 3. After it opens, go to the LOWER RIGHT CORNER of the page and click, the pages will turn. Please make sure that you read my article about Virgie P Townsend‘s Book “Inspirational Quotes” on Pages 16 and 17. Thank you. Have a Great summer! Matthew is a father who just lost his wife after her three year battle with cancer and must now raise his three children on his own. They live in an upscale middle-class area in Raleigh, NC. Just when he thinks the worse is over and tries to put his family back together, his peaceful home is turned upside down and has become a total nightmare. 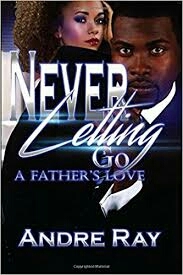 He soon finds himself in an all-out warfare with the devil whose name is Keith to save his oldest daughter Amber who has chosen the love of an older man. It doesn’t help that she blames him for the death of her mother and is totally rebellious towards him. Amber has no idea that her love for Keith will take her to the depths of hell and back. She will be forced to choose between Keith and her father. Can the Lord save his family before it is too late or will the devil put them into total despair?